Quinoa: This super seed is an easy, delicious complete protein that only takes 15 minutes to make. High in fiber and iron. Use for: Use it in place of rice or pasta and add to salads to make a complete meal. Heat up and eat for breakfast instead of, or along with, oatmeal. You can even throw some into your soups or wraps. 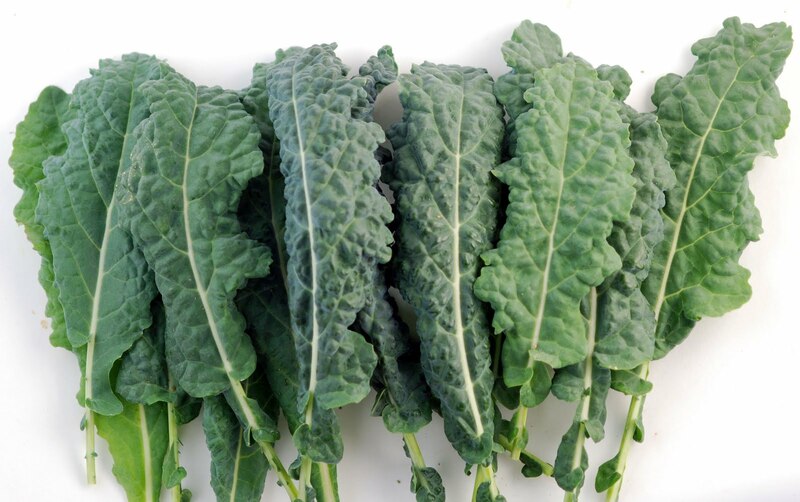 Kale: Great source of just about everything, especially vitamins A, C, K and calcium, even essential fatty acids and iron No wonder they call it a superfood. Use for: Kale is ridiculously versatile. It can be dressed and massaged with olive oil and kept in the fridge for a great salad base throughout the week. Its easy storage makes life so simple. You can also throw it into a soup, bake some crispy kale chips or add it as a side dish. Use for: Breakfast, lunches, on top of any salad, scrambled eggs make a fun addition to soups and stir-fries. Fried egg sandwiches or egg salad sandwiches are great, quick, nutritious lunches. Sprinkle a bit of salt and pepper on a boiled egg for a quick, portable snack. Nuts: You should buy raw, unsalted and unroasted to avoid added, and excess sodium. Nuts are full of healthy heart and brain-boosting fats and they’re a good source of protein with lots of vitamins and minerals. Use for: Eat a handful for a quick snack, add to salads, even crush on top of soups and pastas gives a nice crunch. Mix it up and try all kinds. Don’t go overboard though, because they’re high in calories. Limit yourself to a handful or two a day. If calories are a concern, eat pistacshios, as they are the lowest calorie choice in the nut family, and super healthy as well. 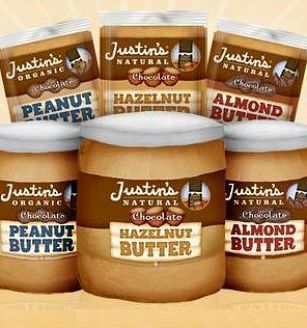 Nut butter: Organic and sugar-free are preferred. Great for healthy fats, proteins, vitamins and minerals. Use for: Spread on apples, celery, crackers, on healthy toast, or add a spoonful to smoothies. Seeds: Sesame, pumpkin, hemp hearts, ground flax, chia, unsalted. Seeds are tiny powerhouses of nutrition including healthy fats, proteins, fiber, calcium, and all sorts of other vitamins and minerals. Use for: Salad toppers, add to smoothies, add seeds to almost any dish for added awesome. Oats: Great for fiber and important minerals like manganese and a sustainable energy source to get you filled up and through the morning. Use for: Just pop oatmeal and water/milk on the stove and let it boil while you get dressed. Top with seeds, nuts, fruit, coconut flakes or whatever. Great for baking too. Hummus: A delicious source of protein, fiber and minerals like iron and calcium. Use for: Hummus is a great and easy snack on just about anything. Veggies, crackers, baked chips, a condiment on sandwiches. Even use it instead of sour cream. Nut milk, almond/coconut: These readily available dairy alternatives are everywhere now and a great source of proteins, healthy fats and lots of essential vitamins and minerals depending on which you choose. Good if you’re avoiding dairy products. Use for: Use this in smoothies, oatmeal, dry cereals, or lattes. Organic boxed broth: Sure, it’s better to have the homemade stuff hanging around in the freezer, but it’s very time consuming. Sometime, you just need a box on hand to help start you off. Try to stick with organic, preferably low sodium. Use for: When you’re crunched for time, a little boxed broth is a simple base for homemade soups and other dishes. 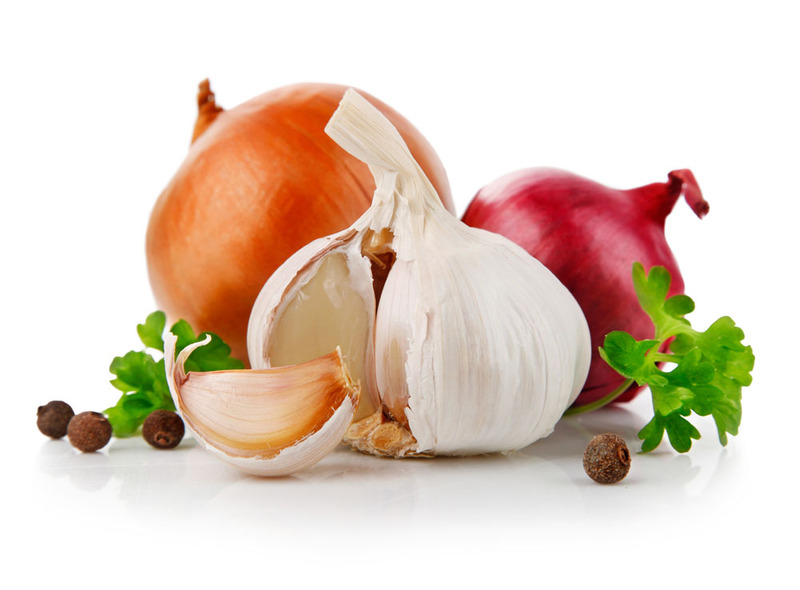 Garlic and onions: Both are great healing foods. They’re antioxidants, anti- viral, anti-fungal and loaded with vitamin C, along with plenty of other vitamins. Use for: Garlic and onions are a great base for almost everything you cook. Just, chop, slice or dice and sauté with a bit of coconut or olive oil for a huge flavor boost, and lots of great heathy benefits. Chickpeas, also known as garbanzo beans (canned or dried): Great for protein, fiber, B vitamins and lots of minerals like iron and magnesium. Use for: salad toppers, mix with veggies and quinoa, combined with grains, like brown rice, makes a complete protein, throw in soup, or even make your own hummus. Lemons: Like all citrus, lemons deserve a major shout out for their vitamin C, and lemons are particularly good at detoxifying the body. Use for: Adding to water for a great detoxifying drink. Add to olive oil for instant homemade dressing, squeeze on top of veggies, fruits and fish for added flavor, use grated lemon rinds in baking or cooking. Coconut oil: Good quality is key: Look for virgin, organic and cold-pressed. Coconut oil is an easily digestible, healthy saturated fat (MCT) and more stable for higher temp cooking. Don’t ever burn your oil. Use for: higher heat cooking, stir-frying, roasting veggies, frying eggs, or baking. 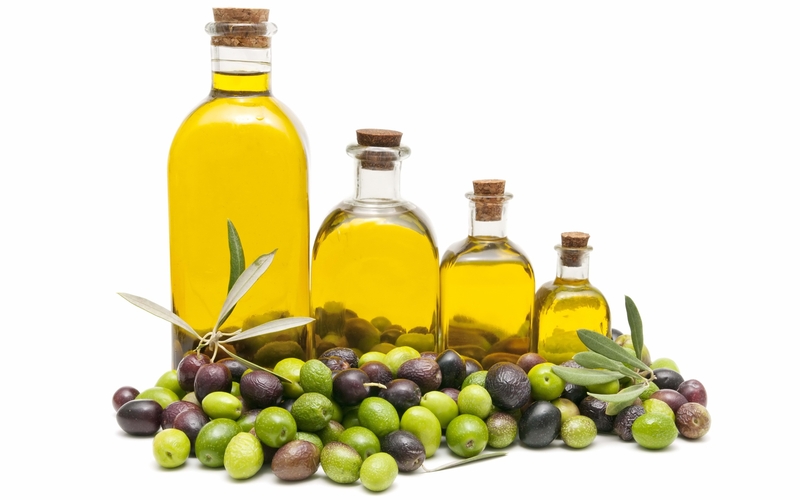 Olive oil: Same as any oil, aim for: organic, extra virgin, cold-pressed. Use for: Easy-to-make salad dressing, also use for low-heat cooking. Vinegar: Balsamic, apple cider, red wine, white wine, pick one and start there. Use for: mix a little with olive oil to make healthy homemade dressings instead of buying overly-processed, store-bought salad dressing. Also add a splash to many other recipes to enhance flavor. Dagmar Overbye ran a foundling center in Copenhagen from 1916 to 1920. It was supposedly a place where unmarried mothers could take their infants to be adopted, although they had to pay a fee for the infant to be accepted. The unsavory business of hiding the scandals of others was something few talked about, and Overbye operated under the radar for several years. It is unclear how well records of the babies she took in were kept, if at all. 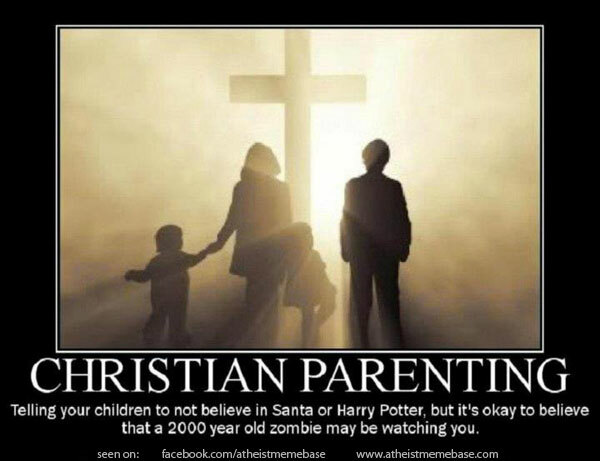 The parents who paid Overbye to take care of matters rarely even spoke of it, much less went back to check on their babies. One woman finally did. Karoline Aagesen placed her newborn daughter with Overbye in 1920 and immediately regretted her decision. Aagesen went back to retrieve her child the next day, but Overbye told her the baby had already been adopted, by a couple whose address she couldn’t recall. Aagesen went to the police, who investigated Overbye and the “adoption agency” she ran out of her apartment. They found baby clothes and charred bones in the stove. Overbye was arrested and confessed to killing either 16 or 20 babies, reports vary. However, from the evidence found, she was convicted of only nine murders. The babies had been strangled, drowned, or burned, and some bodies were found in her loft and buried underground in addition to the evidence from the stove. More parents came forward after Overbye’s arrest, and estimates of the number of infants she may have killed range from 29 to 180. It is believed that the first child Overbye killed was her own, born a few years before she opened her baby business. 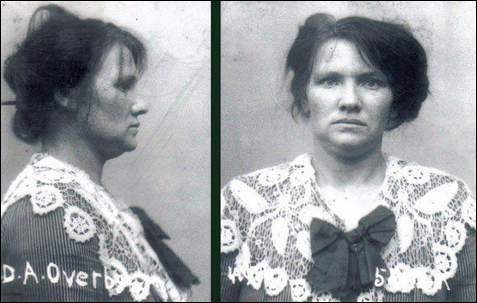 She was sentenced to death in 1921, which was commuted to life, and she died in prison in 1929. Nearly every American who has studied history is aware of the infamous Washington Crossing the Delaware painting, depicting George Washington sailing over the Delaware River in 1776. Similarly, the Harvest of Death photograph of the American Civil War is a haunting touchstone. Morbidly fascinating, the picture depicts Union and Confederate soldiers lying dead and bloated on the Gettysburg battlefield. When we think of these images, we usually file them away in separate compartments of the brain. They were taken in separate centuries, after all, with 16 presidents and almost 100 years between them. Yet, to nine extraordinarily long-lived men, these photographs make up the bookends of their lifetime. Congregational minister and amateur historian Rev. Elias Hillard set out on what was truly a last-chance mission. In 1864, he decided to assemble records of the Revolutionary War, gathering the records of the veterans who. had been there. Daniel Frederick Bakeman’s service in the War was not certifiable, however, Congress granted him a special act, which allowed him to receive a military pension for his alleged service. Ostensibly, his death in April 1869 made him the last surviving veteran of the war (assuming his claim about fighting is true). Impressive also was his love life. At the age of 12, he married Susan Brewer, who was 14 years and six months old, on August 29, 1772. Their marriage, which lasted 91 years and 12 days, is the longest claimed on record and also the only marriage claimed to have exceeded 90 years. Green tea might be might be tasty and refreshing, and it might seem like a natural way to ward off cancer, but it can also damage your liver. Comfrey is so dangerous that comfrey tea is no longer sold in the United States, and other herbs have also sent people to the hospital. Some products, such as green tea extracts, may contain many more times the safe dose of a product. Other times, products may be contaminated. Recent examples include “all natural” slimming products that contained not only the discontinued prescription drug sibutramine, but phenolphthalein, a laxative that’s also been pulled out of pills because it might cause cancer. The active ingredients are a class of compounds called catechins. “They can deplete some of the protective molecules in cells such as glutathione that are there to protect us from injury. Green tea extract in some people can lead to quite severe or even fatal liver injury,” Bonkovsky said. “We don’t really fully understand the basis for the susceptibility, but it seems likely to be a combination of genetic factors…but also maybe related to their diets, ” he added. Comfrey contains toxic substances called pyrrolizidine alkaloids that damage the liver, sometimes fatally. Comfrey is no longer sold in the U.S., except in creams or ointments, but even used this way the alkaloids can build up in the body. Kava kava is made from the roots of the plant Piper methysticum, best known as the basis for a ceremonial drink in Oceania but also sold to treat anxiety and insomnia. It’s been documented to have cause liver damage, however, and its use is banned or restricted in Germany, Switzerland, France, Canada, and Britain. This is an interesting site that will show how you’re getting old. Just enter your birthday and year and see what it knows about you.